Religious landmarks abound in Italy, this is not by any stretch of the word a, surprise. Walk down any street, path, alleyway in any Italian town and you are bound to come across another stunning example of the Italian monuments built to revere their God and their beliefs. Whether you are a religious, spiritual person or not these monuments are not to be missed, they represent amazing history of the Country and the World itself. In the United States we have some beautiful religious monuments as well. But what we lack is the age and history that our monuments represent. The monuments we have in the U.S. are beautiful, but when compared to monuments around the world, especially in Europe, that come with history of the Roman Empire, the Ottoman Empire and so on, we just can’t compete for the significance these monuments carry to the people of Europe. 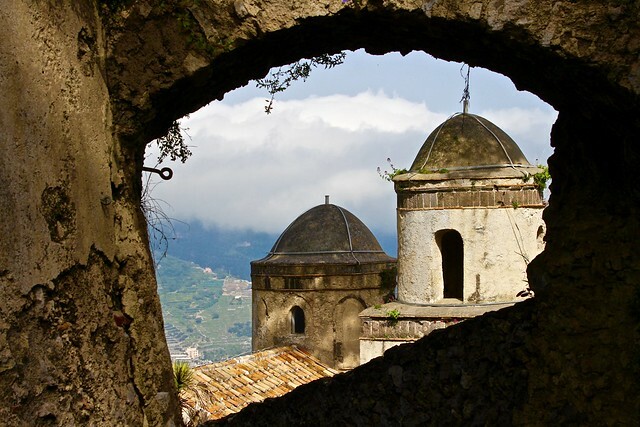 In the small Seaside Villages of the Amalfi Coast this is no different. 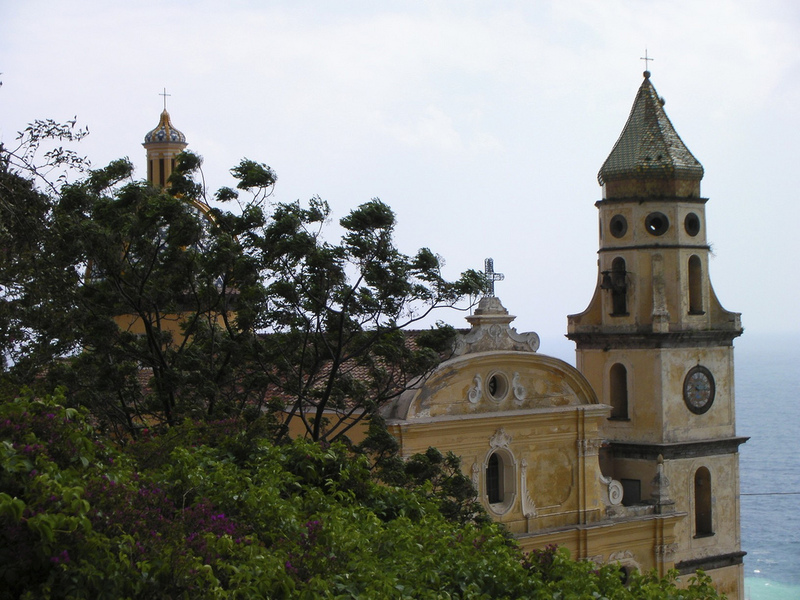 Probably the most significant Church along the Amalfi Coast is the Cathedral of Amalfi. I will one day write about that Cathedral, it’s extremely significant because the Apostle Saint Andrew is interned there, stay tuned for that. Today, I want to tell you about one of my favorite little Cathedral’s and it’s located in the small town of Praiano, Italy. You can’t miss it, it’s in the center of town and is the gathering place for the towns locals. In fact, we were lucky enough to witness a local wedding and it’s procession while we were here. The Parish Church of Vettica Maggiore is dedicated to St Gennaro: the Neapolitan bishop of Benevento, who died a martyr in Pozzuoli on September the 19th 305, while the so-called Dioclezianus persecution was raging. The church was officially opened on August 18th, 1589. It was built over the foundations of a preceding church, also dedicated to St Gennaro. The new church was finished in 1602. The structure is divided into three naves, in the right one there are a number of altars dedicated to The Rosary, The Sacred Family, St. Bartolomeo and the Immaculate Conception (with a Gian Battista Lama Painting dated 1747). Inside the left nave, you will see the notable Altar’s of Carmine, with a stunning painting representing the Carmelo’s Virgin, while giving the miraculous scapular to the souls in purgatory. Along with the altars of St Gennaro and St Lucia you will find the Crucifix altar, with a precious fresco representing the long ordeal of Christ, here stands a beautiful crucifix, as a votive offering. Do not miss either the altar of St. Michele Archangel that, between 1600 and 1700, was the moral and spiritual seat of the local fishermen and seamen. Visiting this monument is a lesson in National History, Local History and the Cultural History that one should experience when in Italy. Do not miss it! Thank you so much for stopping by my Blog. I am glad to see you here and look forward to getting to know you.